The first phase was when the paper started. I was then editing my own Tamil Weekly in Toronto and virtually out of English journalism. Lasantha Wickrematunge or ‘Lassie Boy’ wanted me to write a weekly column on Sri Lankan affairs from far-off Canada. It was both an opportunity and challenge. The idea of getting someone living abroad to write a regular column on Sri Lanka for a Sri Lankan newspaper was a novel, path-breaking concept. So ended the life of a close friend and fearless Editor who remained unbowed and unafraid until the very end. The journalistic legacy he left behind, however, did not end. The torch was passed on to other hands to keep the flame burning. Lasantha’s elder brother and Managing Director Lal(raj) Wickrematunge took over the reins of editorial management. A new Editor was found – Frederica Jansz took up the formidable challenge of editing the Leader. 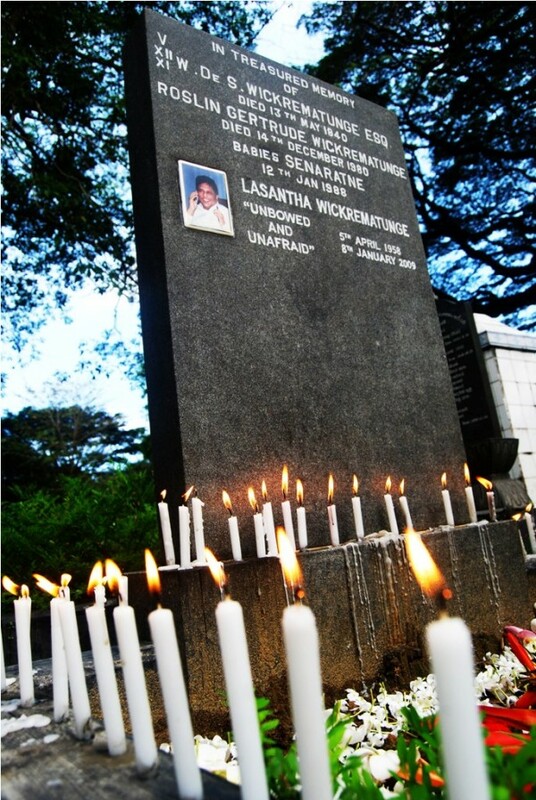 With two good friends at the helm and because of the inspiring memory of Lasantha Wickrematunge, I began writing again for the Leader. Thus began my fourth and current phase with the Leader. Unlike the earlier phases, it has not been possible to write regularly. While continuing to write for Daily Mirror regularly, my articles also appear occasionally in the Leader. As stated earlier, I have not been able to write every week as in the past but the ‘Leader link’ remains strong and firm and it is my intention to keep writing for Leader whenever possible. This is not merely due to Lassie Boy’s memory or the personal links with Frederica or Lal. It is due more to the editorial traditions and norms established by Lasantha at the Leader that are being maintained by Frederica. I state with all sincerity and conviction that despite the prevailing constraints, The Sunday Leader remains true to its credo of being ‘Unbowed and Unafraid’. It is the only English newspaper in Sri Lanka where one can state the facts boldly and articulate opinions bravely without restrictions. In the bleak desert of conformity around us, The Sunday Leader remains an oasis of openness where one can – despite prevailing constraints – speak truth to power. It is for this reason mainly that I continue to live out this fourth phase of my special relationship with The Sunday Leader by contributing to its editorial columns whenever I can. Eighteen is a magic number that is very often regarded as heralding the coming of age. The German word ‘Bildungsroman’ is the name of the literary genre relating to coming of age tales and themes. The Sunday Leader at 18 has come of age and is embarking upon its own ‘Bildungsroman’. My best wishes to the newspaper and all those associated with it. Here’s to the future!